Travis Charest and Dave Sim are both comic book artists, but besides the fact that they are both from Canada, their careers in the industry have very little in common. 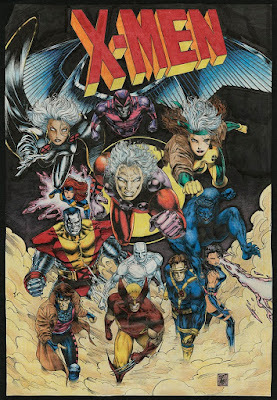 This is a piece of X-Men art done by Travis Charest with a ball point pen (!) in 1991 while he was working at a plumbing supply store. There's some minor things to gripe about here, but the guy is already good, and you can tell he's going to be great. 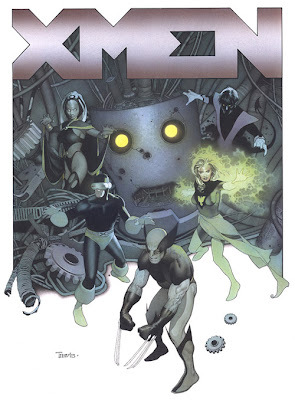 And here is some X-Men art by Charest done some 14 years (give or take) later, an acrylic painting (I'm guessing). The improvement is staggering. Charest was always a talent, but pieces like this are why he's my favorite artist. Unfortunately, Charest takes quite a while to produce the painted sequential work he does for comics. In 2007, he was kicked off his last major assignment, a Dreamshifters graphic novel for Humanoids Publishing, after he finished only 30 pages in six years. Even before that, when he was doing only line-work that other artists would ink and color, Charest never had tremendous output. After four issues of Darkstars, around a dozen WildC.A.T.s comics and specials, and some short stories for Marvel, I estimate his total sequential output since 1992 has been somewhere in the neighborhood of 500 pages, and that's a generous overestimation. Sim has been actively promoting Glamourpuss online for the last month, and much of the conversation on various message boards has been about the merits of the photorealistic style versus iconic simplification (think Peanuts). Sim knows where he stands on the pecking order of artistic achievement, too. 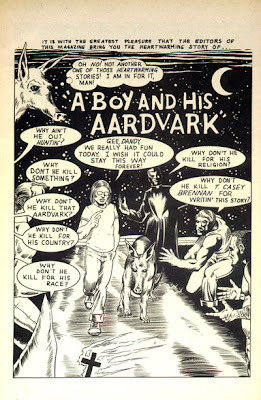 Yes, it's one of those molar-grinding qualities of the Neal Adamses and the Alex Rosses of this world: the rock-solid knowledge that if THEY decide to do what YOU'RE doing they're instantly going to be better at it than you are. If Alex Ross sits down tomorrow and says, "Hmm a fashion magazine parody drawn in Alex Raymond's various RIP KIRBY styles. Hmm. I haven't done any black-and-white stuff for the most part, let's see what that's like" his version will BURY mine six ways to Sunday. It's a good point, but Sim really doesn't have anything to worry about. 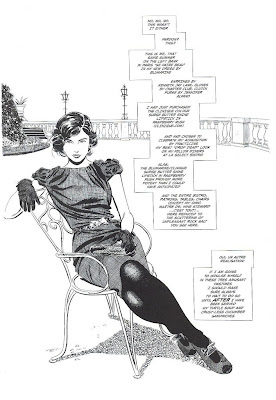 For me, I would love a bimonthly comic about fashion (or X-Men, or anything really) drawn by Charest, but it's not going to happen. While Ross, and Adams, in particular, have done a bit more than 500 pages in their careers, they suffer from the same problem that Charest does. Their level of output simply doesn't match their level of talent. But the lesson any artist can learn from Sim is that if you keep going, eventually, your talent will match your output.